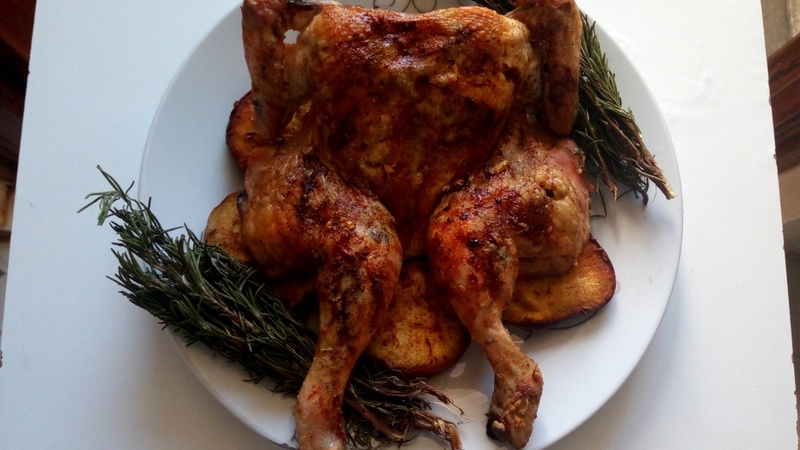 Garlic, Lemon and Thyme Spatchcock Chicken - Leo Tunapika? Spatchcock? What’s that you ask? Well just fancy talk for butterflied whole chicken. 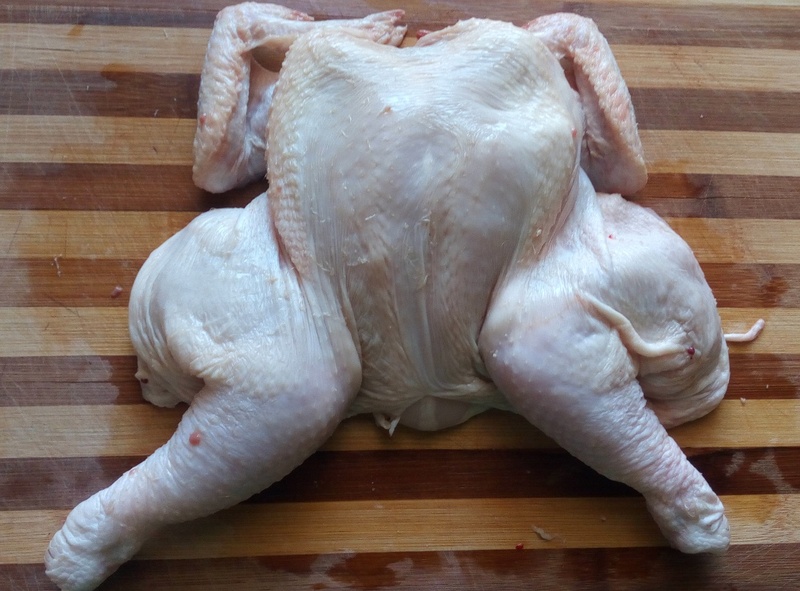 Basically you remove the backbone from the whole chicken then flatten the breast bone to form a butterfly shape. It may sound difficult but trust me it’s pretty easy to do. All you need is a sharp knife and a steady hand. Here’s a video that I found helpful. 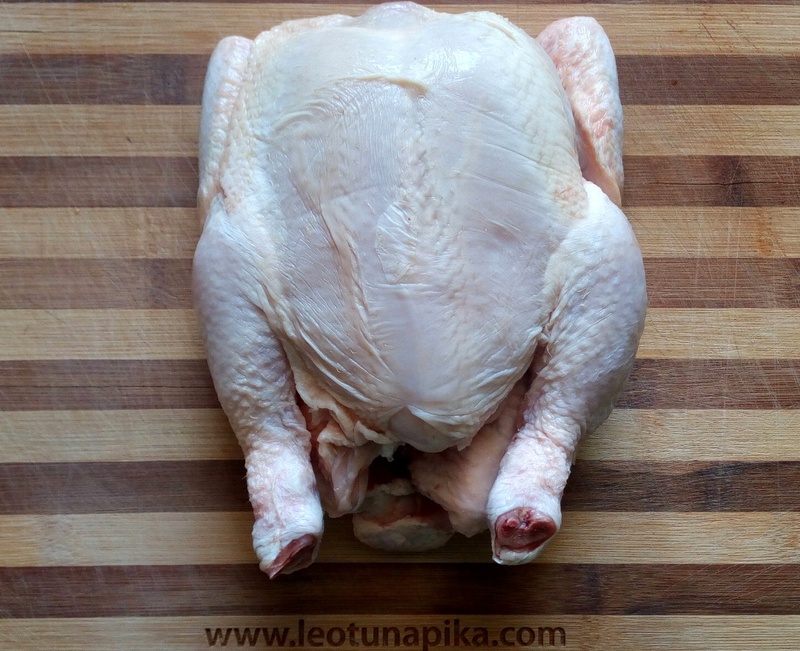 Place the whole chicken, breast side down on your cutting board, then locate the back bone and using a sharp knife or kitchen shears cut on either side of the back bone from the bottom to the neck. Once the bird is butterflied, now we can move onto the butter prep. The butter should be soften for easy application. Combine the lemon zest, thyme leaves and minced garlic with the butter. Next, using your fingers stretch the chicken skin from the body, that way you can rub the herb and garlic butter under the skin. This step is crucial since it ensures the chicken gets all the yummy flavours. I don’t own a big roasting dish,so I settled on a baking tray lined with foil. 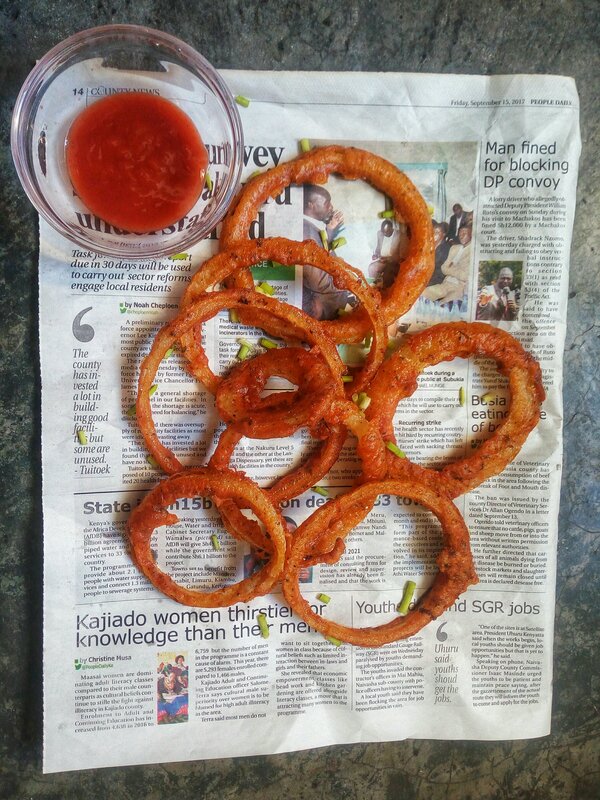 Lay down some thick onion and lemon slices. When the chicken is done the onions will be sweet and caramelised. 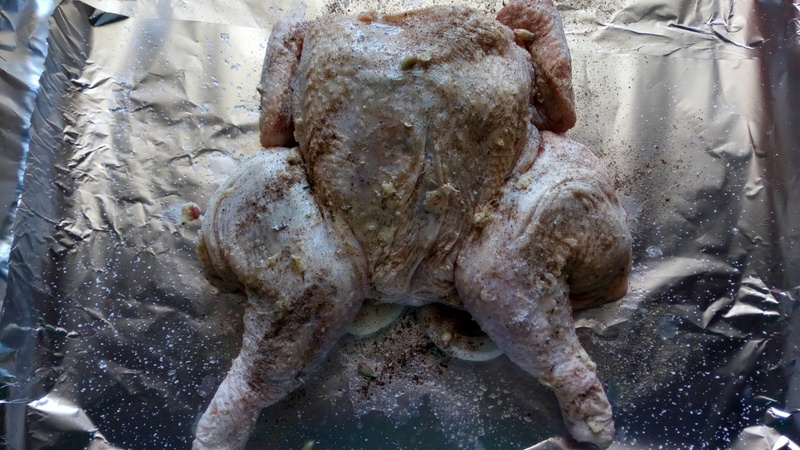 Remember the herb and garlic butter, using your fingers rub it under the skin ensuring you get all the creases of the bird and rub the rest on the skin, this will make the skin crispy and flavourful. Finish off with some salt and freshly ground black pepper on the skin. In a pre heated oven, bake the chicken for 50-60 minutes or until the juices run clear when the thickest part of the chicken is pierced. 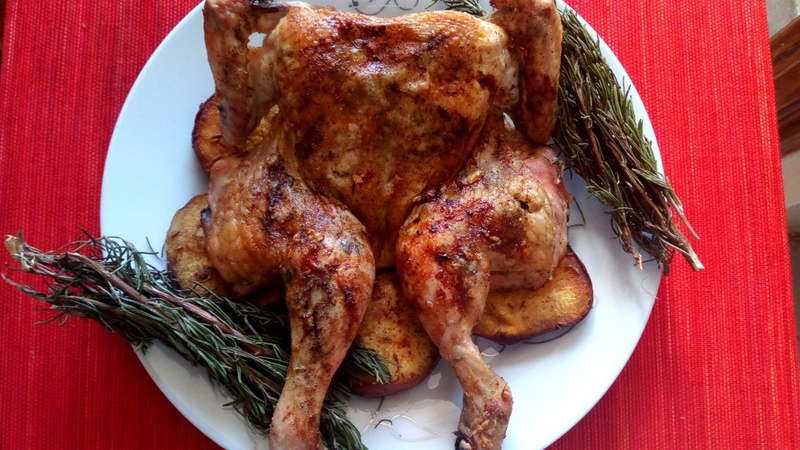 The beauty of this method is that it cuts down the time when roasting a whole bird plus it’s aesthetically appealing and perfect for grilling. The chicken is juicy , flavourful with a crispy exterior. Let the chicken stand for 10-15 minutes before slicing into it. 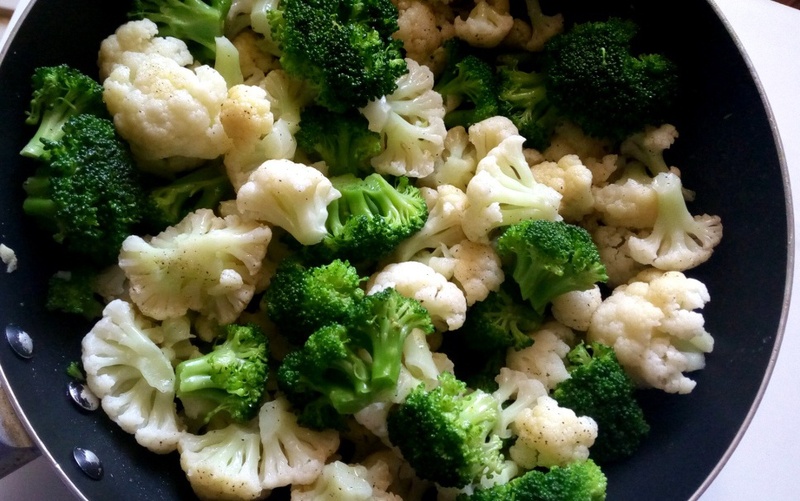 Serve with some baked sweet potatoes and a refreshing salad. There you have it, delicious Garlic, lemon and thyme spatchcock chicken. 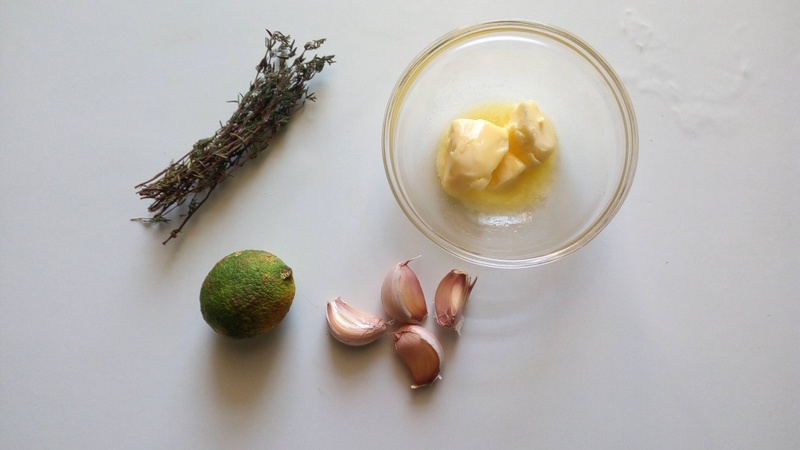 In a bowl, combine the soften butter, garlic,lemon zest and thyme leaves to form a herb and garlic butter. 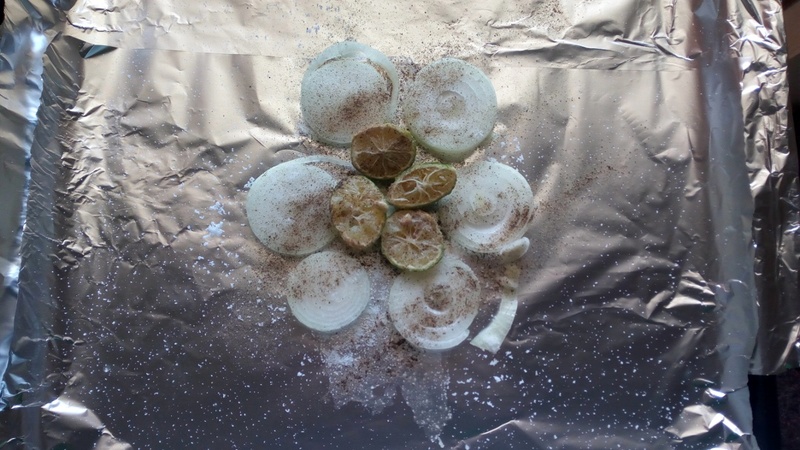 On a roasting dish or a baking tray lined with foil arrange the onion slices. Place the butterflied chicken on the onions. Using your fingers, separate the skin from the body and rub the herb and garlic butter. rub the rest on the skin. Season the top with salt and pepper. 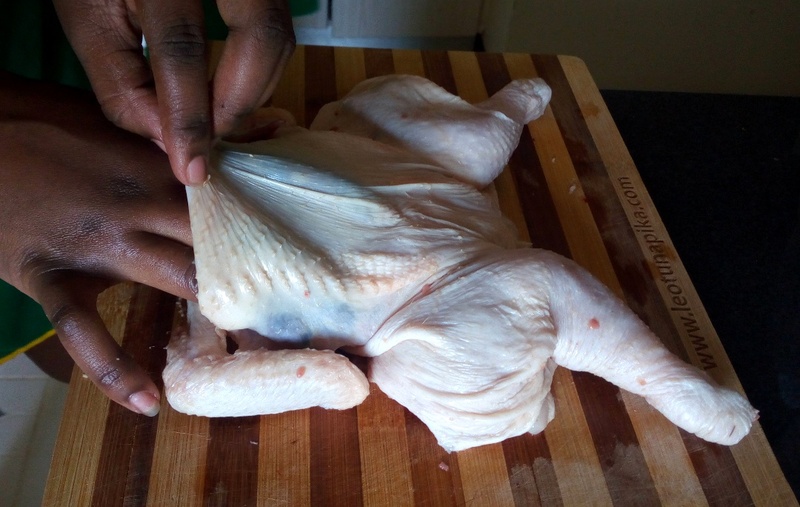 Bake for 50-60 minutes or until the juices run clear when the thickest part of the chicken is pierced. Let the chicken stand for 10-15 minutes before slicing into it. Serve with some roast sweet potatoes and salad.